The federal government has unveiled a new debt management strategy to run from 2016 – 2019 aimed at a marginal increase in external borrowing and increased commitment to capital projects execution. The Director General of the Debt Management Office (DMO), Dr. Abraham Nwankwo, disclosed the three-year debt management strategy on Monday in Abuja. A statement by the agency quoted Nwankwo to have said that the new debt management strategy approved by the Federal Executive Council last Wednesday, is aimed at economy recovery and diversification. The DMO boss explained that the focus of the new initiative is to develop a debt management strategy that would ensure that in the face of macroeconomic and other financial constraints, the cost and risk profile of the public debt portfolio remains within acceptable limit over time. He reiterated that that the strategy is in line with President Muhammadu Buhari’s vision to generate maximum employment, reduce poverty and increase the living standard of Nigerians. He said, for this to be effectively achieved, the government is making positive efforts in diversifying the economy as against the backdrop of structural collapse in oil prices and oil revenue. 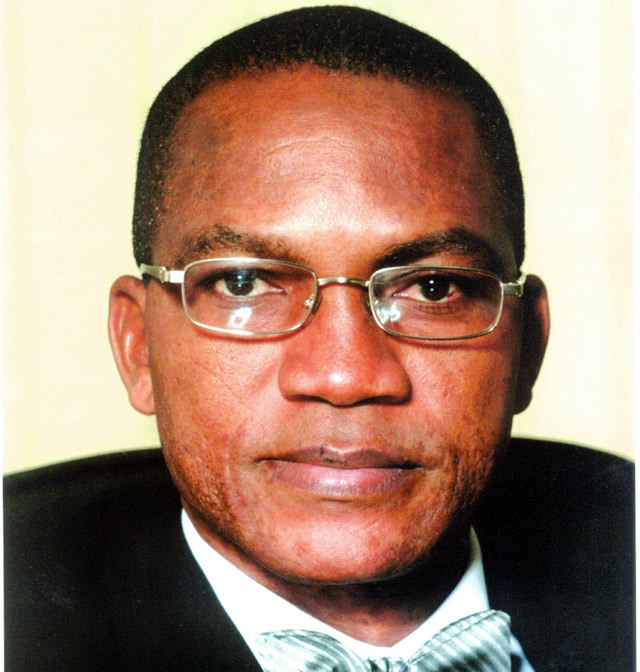 Nwankwo said: “The Debt Management Strategy we are going to pursue over the next four years, takes into account the fact that for now Nigeria’s public debt portfolio is dominated by domestic debt. After the Paris and London Club exits between 2004 and 2006, the country took a deliberate decision to develop its domestic bond market and to do most of the public borrowing from domestic sources so as to develop the domestic bond market, that objective has been sufficiently achieved. “And therefore taking into account that external financing sources are on the average cheaper than domestic sources, it becomes more necessary to slant more of the borrowing in favour of external sources. “Therefore one of the major elements of this strategy is that over the medium, term we will strive to remix the public debt portfolio from 84 per cent domestic and 16 per cent external to 60 per cent domestic and 40 per cent external. Justifying the decision to remix in favour of external debt, he said the country would be able to achieve cheaper cost of funds, lower debt servicing and avoid the risk of crowding out the private sector from accessing the domestic market, adding that the private sector is still expected to play the lead role to compliment government’s effort. While dismissing concerns on government’s decision to focus on external borrowing in a country currently facing foreign exchange constraints and harsh macroeconomic environment, he stressed that the new strategy is the best for the Nigerian economy as the government is presently making sustained efforts on diversifying the economy, noting that in the next 5-7 years export proceeds accrued to the economy will be more and our exchange rate will be favourable. While encouraging Nigerians that the future will be sustainable, the DMO boss further stated that the citizens should take advantage of the current challenges as a stepping stone to actualise their vision and achieve their dreams. “One of the questions that will naturally arise and which many of you have asked us, has to do with the challenge of foreign exchange constraints,” Nwankwo said. “At this point in time our exchange rate is not very favourable and our reserves are not as buoyant as they used to be and people are raising the question while would you go for external borrowing when you have foreign exchange constraints. However, a closer look at the issue shows that the strategy the government has chosen is still the optimum strategy and the secret to arriving at that conclusion is simply to differentiate between a short-term static situation and a long-term dynamic situation. “Of course if we are simply focused on the challenges we have currently there will be undue concerns about our ability to service external debt, however if you take into account that everything we are doing now are for the purpose of diversifying our economy in a sustained manner, so that in the next 5-7 years we will be exporting a variety of processed and primary products We have all it takes in terms of variety of opportunities in agriculture and in solid mineral for example,” he added.